I don't think so, no! Resend? I have one from you on 13/09/2017 only, when I reset your email/password for you. 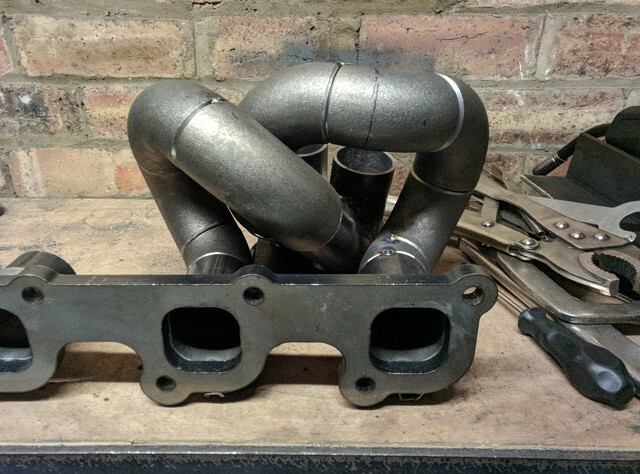 My exhaust manifold is finally finished, I built it from 42.4mm mild steel internet bits and some square-round transition sections from KL Racing. Spent way too long welding and grinding all of the internal transitions. I had it internally ceramic coated to try to slow down the rust, not particularly impressed with the quality of the job though. ^ Cheated radii after hours of not finding the solution. I've also been cleaning and rust-proofing the underside of the floor, getting fixings and hoses, negotiating a new radiator. Next up should be squeezing at least enough of the fuel system in that I could run the engine from the swirl pot. Is there no room either side of the trans/driveshaft for exhaust to tuck in/up and give you clearance? If you do have the exhaust hanging then it WILL scrape and without a flexi in the down pipe and somewhere under/over/near the rear axle, it could even do damage. So getting it up clear of the bottom, low or otherwise, is pretty important. It's a shame the exhaust is so close to the brake fluid lines/cylinders. I guess you're going to slip an alloy or steel shield in there? and wrap or insulate one or both sides with fibreglass or something? Good to know about the 100mm limit there, I think, like it should be doable. This outrigger's just a fairly simple U-section welded to the underside of the floor to form a box, it spans the floor under the front of the driver's seat from the rail next to the gearbox across to the cill/sill. I cut out the whole rail and the outrigger because they were too rusty. The replacement outrigger is on the bench ready to get welded in, so the easy solution is to reinforce it and take a big old bite out of it where I want the 3" exhaust pipe to pass under it. Running the pipe next to the gearbox is complicated by the gearbox crossmember I made a couple of years ago. I looked at it this morning and I think I've decided to modify it instead of modifying the outrigger. 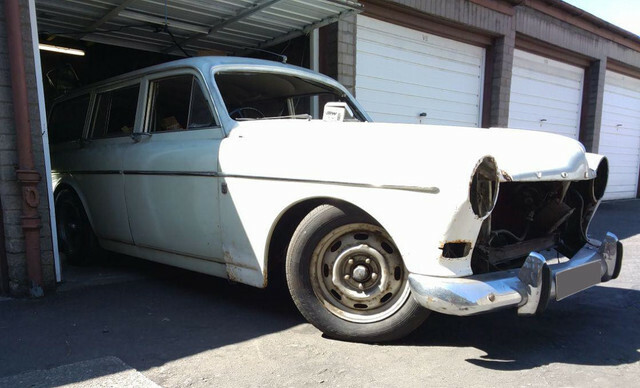 It makes sense in terms of preserving the car's classic status because the outrigger's part of the monocoque (can't be modified) whereas the crossmember bolts in. 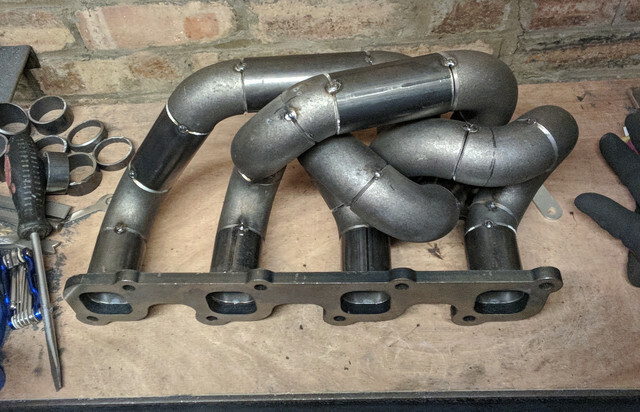 I reckon I can get maximum tuck by replacing part of the crossmember with a section of 101mm or 114mm OD 3mm thick pipe, and passing the exhaust pipe through it. A 101mm OD pipe would currently have ~113mm ground clearance. 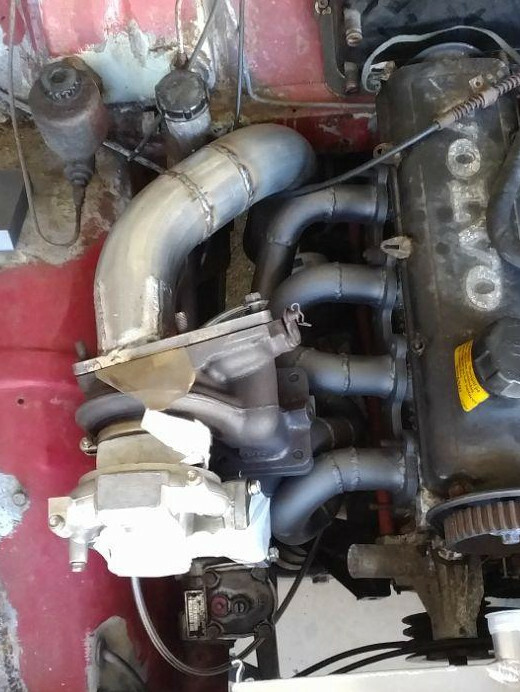 With the exhaust pipe passing concentrically through it, there would be a ~10mm gap between its inner diameter and the exhaust pipe, which makes me think I should go for the 114mm OD pipe. It would give a ~16mm gap, which feels like a more real-world tolerance. The 114mm OD pipe would have ~100mm ground clearance, but it is between the axles where the rest of the clearance is around 130mm. 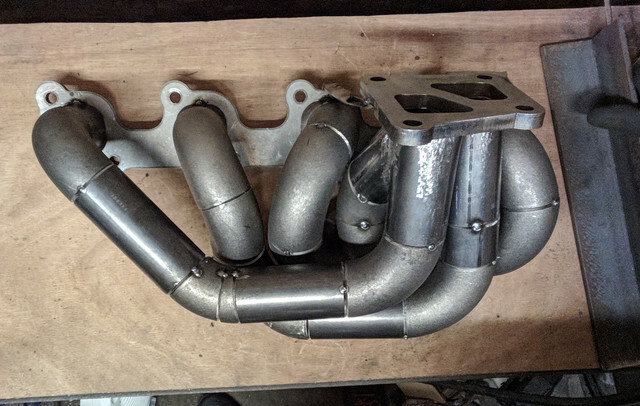 There's an exhaust flexi section to go in, so scraping over Edinburgh's awful potholes and to a lesser degree its large speed bumps hopefully won't damage all my goodies. I'm planning on wrapping the downpipe and using a shield. There's about a 20mm gap at the narrowest point 'twixt pipe and cylinder, and despite knowing nothing about what that'll mean for heat transfer I'm feeling optimistic about it. Man that is a beautiful car. And of course top-notch work! Lots of skills needed and shown for this project!